Charles K. Armstrong - Charles K. Armstrong is Korea Foundation Professor of Korean Studies in the Social Sciences in the Department of History and a former Director of The Center for Korean Research. A specialist in the modern history of Korea and East Asia, Professor Armstrong has written or edited numerous books on modern and contemporary Korea, including Tyranny of the Weak: North Korea and the World, 1950 – 1992 (Cornell, 2013), The Koreas (Routledge,second edition, 2013),The North Korean Revolution,1945-1950 (Cornell, 2003), Korea at the Center: Dynamics of Regionalism in Northeast Asia (M.E. Sharpe, 2006), and Korean Society: Civil Society, Democracy, and the State (Routledge, Second Edition 2006)/ He is currently writing a history of modern East Asia for the Wiley-Blackwell series “Concise History of the Modern World.” Professor Armstrong is also a frequent commentator in the US and international media on Korean, East Asian, and Asian-American affairs. Hye Eun Choi - Hye Eun Choi is Korea Foundation Postdoctoral Fellow. She received her PhD in History at the University of Wisconsin-Madison and her MA in Asian Studies at the University of Texas at Austin. Her dissertation, titled “The Making of the Recording Industry in Colonial Korea (1910-1945),” explores the birth of the Korean recording industry at the intersection of capitalism, colonialism, and globalized modern sound culture. During her stay at Columbia, she will revise her dissertation into a book manuscript. Eunice Chung - Eunice Chung is Korean Language Lecturer in the Department of East Asian Languages and Cultures. She received her B.A. in English Education from Korea University, Seoul, Korea and M.A. in TESOL (Teaching English to Speakers of Other Languages) from Teachers College, Columbia University, NY. She has taught English as a second/foreign language in the K-12 setting and has been teaching Korean since 2010. 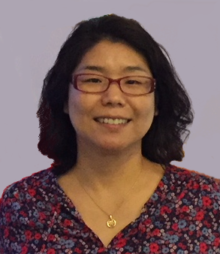 Ms. Chung’s research interests include second language acquisition, instructional technology, language pedagogy, and interactive approaches in teaching. 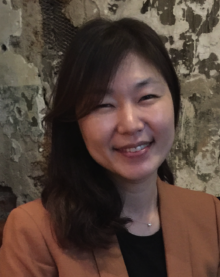 Prior to joining Columbia faculty in 2015, she has taught Korean at Boston University and at the University of Pennsylvania. Theodore Hughes - Theodore Hughes is Korea Foundation Professor of Korean Studies in the Humanities and Director of The Center for Korean Research, Columbia University. He received his Ph.D. in modern Korean literature from the University of California, Los Angeles (2002). His research interests include coloniality; proletarian literature and art; cultures of national division; visuality and the global Cold War. He is the author of Literature and Film in Cold War South Korea: Freedom’s Frontier (Columbia University Press, 2012), which won the James B. Palais Book Prize of the Association for Asian Studies. He is the co-editor of Intermedial Aesthetics: Korean Literature, Film, and Art (special issue of the Journal of Korean Studies, 2015) and Rat Fire: Korean Stories from the Japanese Empire (Cornell East Asia Series, 2013). Other publications include “Korean Literature Across Colonial Modernity and Cold War” (PMLA, 2011); “Planet Hallyuwood: Imaging the Korean War” (Acta Koreana, 2011); “Return to the Colonial Present: Ch’oe In-hun’s Cold War Pan-Asianism” (positions: east asia cultures critique, 2011); “‘North Koreans’ and other Virtual Subjects: Kim Yong-ha, Hwang Suk-young, and National Division in the Age of Posthumanism” (The Review of Korean Studies, 2008); “Korean Memories of the Vietnam and Korean Wars: A Counter-History” (Japan Focus, 2007); “Korean Visual Modernity and the Developmental Imagination” (SAI, 2006); “Development as Devolution: Nam Chong-hyon and the ‘Land of Excrement’ Incident” (the Journal of Korean Studies, 2005); “Producing Sovereign Spaces in the Emerging Cold War World Order: Immediate Postliberation ‘North’ and ‘South’ Korean Literature” (Han’guk Munhak Yon’gu, 2005); Panmunjom and Other Stories by Lee Ho-Chul (Norwalk: EastBridge, 2005). His second book, The Continuous War: Cultures of Division in Korea (forthcoming from Columbia University Press) offers a cultural history of the Korean War spanning from the early 1950s through the early 2000s. Ji-Young Jung - Ji-Young Jung is Lecturer in Korean in the Department of East Asian Languages and Cultures. She received her Ed.M. (2002) and Ed.D. (2009) in Applied Linguistics from Teachers College, Columbia University. Her research interests include intercultural pragmatics, discourse analysis, foreign language pedagogy and heritage language acquisition. Prior to joining Columbia, she taught at the University of Pennsylvania (2012-2018) and Rutgers University (2009-2012). She is currently co-authoring a KLEAR Korean language textbook (Accelerated Korean I & II, University of Hawaii Press). Laurel Kendall - Laurel Kendall is Chair of the Division of Anthropology and Curator in Charge of Asian Ethnographic Collections, American Museum of Natural History and Senior Research Scholar, Weatherhead East Asian Institute. She received her Ph.D. in anthropology from Columbia University. Her publications on Korean culture and society include “God Pictures in Korean Contexts: The Acquisition and Meaning of Shaman Paintings” (University of Hawaii Press, 2015), “Shamans, Nostalgias, and the IMF: South Korean Popular Religion in Motion” (University of Hawaii Press, 2009), “Getting Married in Korea: Of Gender, Morality, and Modernity” (University of California Press, 1996), “The Life and Hard Times of a Korean Shaman: Of Tales and the Telling of Tales” (University of Hawaii Press, 1988) and “Shamans, Housewives, and Other Restless Spirits: Women in Korean Ritual Life” (University of Hawaii Press, 1985). She edited “Under Construction: The Gendering of Modernity, Class, and Consumption in the Republic of Korea” (University of Hawaii Press, 2001) and two other volumes related to Korea. She is President of the Association for Asian Studies 2016-2017. Jungwon Kim - Jungwon Kim (Ph.D., Harvard) is King Sejong Assistant Professor of Korean Studies in the Humanities in the Department of East Asian Languages and Cultures. She specializes in gender, family, and legal history of Chosŏn Korea (1392-1910). Her broad research interests include women’s writings, ritual and expression of emotion, crime and punishment, and the use of legal archives. She is currently completing a book manuscript, Negotiating Virtue: The Politics of Chastity and Social Power in Late Chosŏn Korea. Her recent publications include Wrongful Death: Selected Inquest Records from Nineteenth Century Korea (with Sun Joo Kim at Harvard, University of Washington Press, 2014); “You Must Avenge On My Behalf: Widow Chastity and Honor in Nineteenth-Century Korea”, Gender and History (forthcoming); “Chaste Suicide, Emotions, and Politics of Honour in Nineteenth-Century Korea,” in Honour, Violence, and Emotion: Historical Perspectives. She received her Ph.D. from Harvard University (2007), taught at the University of Illinois at Urbana-Champaign, and was a member of the School of Historical Studies at the Institute for Advanced Study in Princeton, NJ (2012-13) before coming to Columbia in 2013. 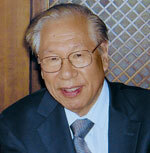 Samuel S. Kim - Samuel S. Kim (Ph.D., Columbia, 1966) is Senior Research Scholar at the Center for Korean Research, Weatherhead East Asian Institute. Professor Kim previously taught at Foreign Affairs Institute, Beijing, China (1985– 1986), Princeton University (1986–1993), and Columbia University (1993–2006) and is editor-in-chief of the Asia in World Politics series of Rowman & Littlefield Publishers. 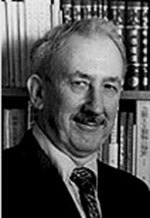 He is the author/editor of 23 books on East Asian international relations, Chinese and Korean foreign relations, and world order studies, including China, the United Nations, and World Order (Princeton University Press, 1979), The War System: An Interdisciplinary Approach (editor, Westview Press, 1980), The Quest for a Just World Order (Westview Press,1984), China and the World (editor, Westview Press, 1984, 1989, 1994, 1998), East Asia and Globalization (editor, Rowman & Littlefield, 2000), Korea’s Democratization (editor, Cambridge University Press, 2003), The International Relations of Northeast Asia (editor, Rowman & Littlefield, 2004), The Two Koreas and the Great Powers (Cambridge University Press, 2006); and North Korean Foreign Relations in the Post–Cold War World (Strategic Studies Institute, 2007). He has published more than 200 articles in edited volumes and leading international relations journals, including American Journal of International Law, The China Quarterly, Asian Survey, Asian Perspective, Journal of East Asian Studies, International Interactions, International Organization, International Journal, Journal of Peace Research, World Politics, and World Policy Journal. Gari Ledyard - Gari Ledyard is King Sejong Professor Emeritus of Korean Studies and Director Emeritus of the Center for Korean Research. He is the author of The Dutch Came to Korea (Royal AsiaticSociety, 1971), The Korean Language Reform of 1446 (Sin’gu Munhwasa, Seoul, 1998), “Cartography in Korea,” a book-length monograph with over sixty illustrations in The History of Cartography, Vol 2, Part 2 (Univ. of Chicago Press, 1994) and many other monographs, articles, and reviews related to Korean and East Asian history. He was Chairman of the Department of East Asian Languages and Cultures from 1980-1983, and was the founder of the Center for Korean Research in 1992. He retired in 2000 but remains active in research and publication. Beom Lee - Beom Lee is Korean Language Lecturer in the Department of East Asian Languages and Cultures. He received his B.A. (1988) and M.A. (1990) in sociology from Hanyang University, Seoul, Korea, and earned an M.A. (2002) and Ed.M. (2005) in Instructional Technology and Media, specialized in second language learning with multimedia, from Teachers College, Columbia University. In Korea, he taught philosophy, history, and culture of Korea and English in the Republic of Korea Army as a military officer in education and psychological warfare. 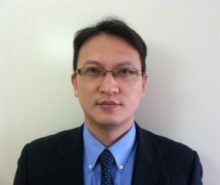 He also worked for Hyundai Construction and Engineering Company as an assistant project manager. Beom Lee joined Columbia faculty in 2005 and has taught Introductory, First Year and Fifth Year Korean. He has also developed online Korean language resources for First and Second Year Korean with his colleagues. His research interests include computer/mobile-based language instruction and language learning in cognitive science. 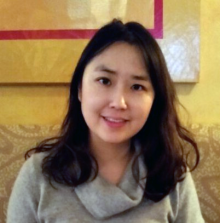 So-Rim Lee - So-Rim Lee is CKR-AKS Postdoctoral Fellow. Her research interests are in contemporary popular culture’s complex embodiments of neoliberalism through performance studies and visual culture, with a focus on modern South Korea. So–Rim also researches on beauty as a mode of neoliberal governmentality, K-pop’s transnationalism, everyday performance in the discourse of self-care, and the intersections between theater and visual culture. So–Rim holds a B.A. in Film Studies from Columbia University, an M.A. in English Literature from Seoul National University, an M.A. in Text and Performance from the Royal Academy of Dramatic Art, and a Ph.D. in Theater and Performance Studies from Stanford University. In her doctoral dissertation, (Re)Made in Korea: Cosmetic Surgery and the Performance of Self, So–Riminvestigates South Korea’s cosmetic surgery industry and the politics of self-management in the twenty-first century. So–Rim will be joining our faculty as the recipient of the CKR-AKS Postdoctoral Fellowship in Korean Studies for the 2018-19 academic year. She will be teaching “Korean Popular Cinema,” a course that will survey modern Korean culture and society through Korean popular cinema. Drawing from weekly screenings and readings on critical film and Korean studies, the course will explore major topics and defining historical moments in modern Korean history post-1945. Stephen Noerper - Stephen Noerper is the Korea Society senior director for policy and education, a Columbia University adjunct professor, and senior advisor to the United Nations programme in support of cooperation in Northeast Asia. 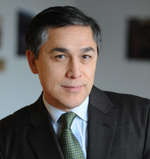 Previously, he was a senior fellow and director at the EastWest Institute, an associate professor of international relations at New York University, and visiting professor at American University, the National University of Mongolia (where he was a Fulbright Senior Scholar), and Waseda University. 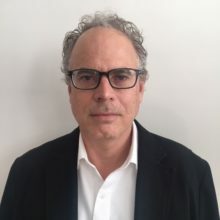 Noerper was an Intellibridge vice president, State Department senior analyst, and an associate and assistant professor at the Asia-Pacific Center for Security Studies in Hawaii. He was an East-West Center fellow and Washington representative for the Nautilus Institute for Security and Sustainable Development. The author of more than seventy publications on US policy, Korea and Northeast Asia, he has appeared widely on radio and television, to include the BBC, Bloomberg, CBC, CNN, NPR and VOA and in The Wall Street Journal and other print. He holds advanced degrees from the Fletcher School of Law and Diplomacy and London School of Economics. He is a member of the National Committee on North Korea. Joowon Suh - Joowon Suh is Senior Lecturer in Korean and Director of the Korean Language Program in the Department of East Asian Languages and Cultures. She received her Ed. M. (2000) and Ed. D. (2007) in applied linguistics from Teachers College, Columbia University. Her research interests include Korean linguistics and language pedagogy, discourse analysis, sociolinguistics, interlanguage pragmatics and intercultural communication. Prior to joining Columbia in 2017, she taught at Princeton University as Senior Lecturer and Director of the Korean Language Program. 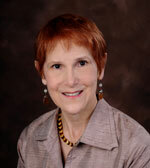 She co-authored the KLEAR Integrated Korean Workbook Series: Beginning 1 (2009), Beginning 2 (2010), Intermediate 1 (2012), and Intermediate II (2013). She is currently working in collaboration to revise the KLEAR Integrated Korean Textbook Series and to create the second edition of the accompanying workbook series. Her most recent publication also includes “English as lingua franca in multilingual business negotiations: Managing miscommunication using other-initiated repairs” in L. Grujicic-Alatriste (Ed. ), Linking discourse studies to professional practice (Multilingual Matters, 2015). She also served on the task forces that created Standards for Foreign Language Learning: Korean (2012) and College Korean Curriculum Inspired by National Standards for Korean (2015). She is currently serving her second three-year term as the Executive Secretary of the American Association of Teachers of Korean. She is also serving on the editorial boards of Korean Semantics and Language and Information Society and as a reviewer for Journal of Less Commonly Taught Languages and New York State TESOL Journal. Joel Wit - Joel Wit is a Senior Research Scholar at Weatherhead East Asian Institute with a focus on U.S.-North Korea Relations and Foreign Policy. He served as Senior Advisor to Ambassador Robert L. Galluci from 1993 to 1995, where he developed strategies to help resolve the crisis over North Korea’s weapons program, and as Coordinator for the U.S.-North Korea Agreed Framework from 1995 to 1999, where he was the official in charge of implementation. Prior to his efforts on the Agreed Framework, Wit was assigned to the State Department’s Office of Strategic Nuclear Policy, where he was responsible for U.S. policy on a range of issues related to nuclear arms control and weapons proliferation. Wit was a Guest Scholar at the Brookings Institute from 1999 to 2001, and is currently a Senior Fellow of the International Security Program, Center for Strategic and International Studies. He has published numerous articles on Northeast Asian security issues and is coauthor of Going Critical: The First North Korean Nuclear Crisis (Brookings Institution Press, 2004). Currently, he is a Visiting Fellow at the US-Korea Institute, Johns Hopkins School of Advanced International Studies. Wit received his BA from Bucknell University and his MIA from Columbia University. Hyunkyu Yi - Hyunkyu Yi is Senior Korean Language Lecturer in the Department of East Asian Languages and Cultures. He received his B.A. in history from Yonsei University (1982), Seoul, Korea, and received his M.A in East Asian history from Graduate School of Yonsei University (1987). He taught Korean at Korean Language Institute in Yonsei University from 1988 to 1996. Hyunkyu Yi joined Columbia faculty in 1996. His publication includes Korean Language 1 & 2 -Easy to Learn, co-authored with others, Korean Language Center in New York, (New York, 2000 & 2003) and media instructional material includes Online Listening Comprehension in Korean, (Columbia University).